As the number of mobile devices has increased in the past decade portable printers have correspondingly changed as well (Source). They have become more portable as well as more dynamic in terms of their capacity to print documents and pictures (Source). 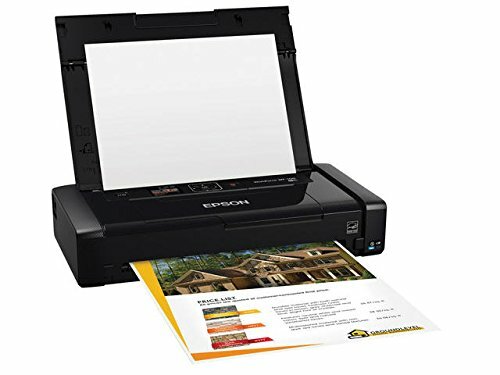 As well, the printers have also shrunk in size and can accept a variety of inputs including printing from Bluetooth connections, from a USB, from memory cards as well as over a WiFi connection (Source). Depending on whether you require a printer that can churn out photos or print polished documents on the go, one of the portable printers we list below is certain to be able to fulfill your particular needs. Let’s take a look at 5 of the best-selling options on the market today. The Primera Trio All-In-One Portable Printer weighs 2.6 lbs. and is a full-featured option that besides offering flexible on-the-go printing, also offers copying and scanning. It features up to 4800 x 1200 dpi color printing resolution, and up to 4800 x 1200 dpi in black printing. Because of it’s 10-sheet paper input tray, it is especially lightweight design and enables the printing of short documents without reloading. You will, however, have to feed more paper if you are printing 10+ pages. A separately sold 2200 rechargeable lithium-ion battery will make this device ‘actually’ portable. Reviewers we spoke to are a bit divided on their overall opinion on this mini printer, with some commenting that they felt that for the price the rechargeable battery should have been included. As well, some users were not completely satisfied with the quality of the printer’s scanning clarity. Some users also adjusted the ink density down a bit, which extended its printing life. In all this is a quality option. With the majority of users we spoke with expressing satisfaction with this portable printer, it’s evidently a solid option to consider. One of its great features is that it allows for easy photo printing from a wide range of tablets, smartphones and PCs. Save time and paper with its automatic 2-sided printing function. It also has the capability to print borderless photos measuring 4 or 6 inches and documents measuring up to 8.5 x 11 inches. 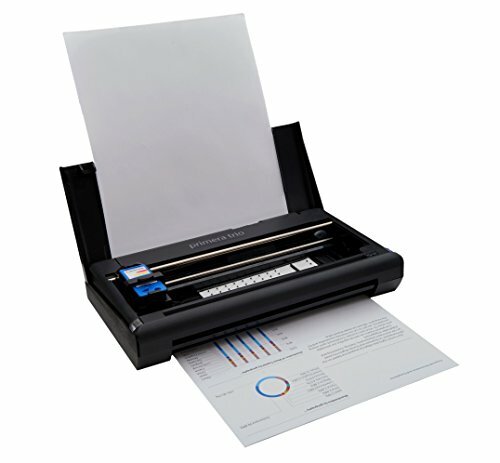 It is one of the easiest ways to print documents while on the go. Moreover, it also lets you scan and copy documents. With its Energy-star rating, you can be sure that it uses energy efficiently. The best thing about this printer is its ease of set-up and use. This is one of the smallest and lightest mobile printers on the market. It weighs just about 3.5 pounds and has garnered high-quality feedback from buyers we interviewed. Printing from an iPhone, iPad, tablet or smartphone is possible with this machine. It is compact and durable and works using a rechargeable lithium-ion battery. It can also be charged using an AC adapter or via USB. It lets you print photos and documents anywhere. Small as it is, it also has small cartridges that may run out fast depending on how much printing you do. Overall, it is a functional printer that will make printing easy and trouble-free. Talking about portability and dependability, this printer has both qualities. It even has XL ink cartridges for high capacity printing. 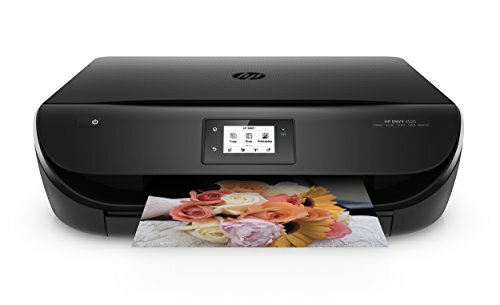 The auto power on feature powers up the printer automatically every time you send a file for printing. You can set it to quiet mode printing so you will be able to use without disturbing others. It is compatible with CL-246 XL Ink Tanks as well as PG-245 XL Pigment Black Ink Tanks. High resolution printing is up to 4800 x 600 color dpi for both photos and documents. It also features Full HD Movie Print, allowing you to turn movie clips from compatible cameras into beautiful prints. 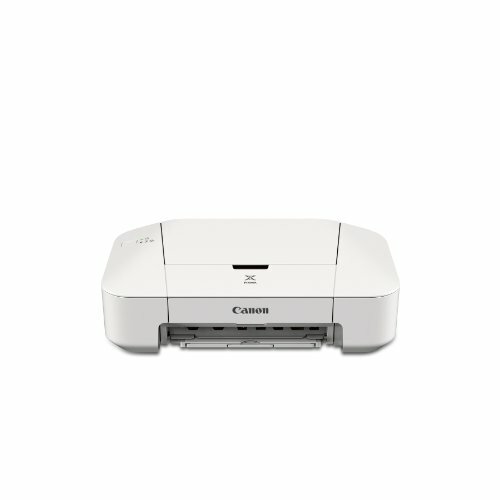 The Canon PIXMA iP110 is a wireless and extremely compact printer designed for transportation. It offers real convenience on that score and superior image quality. Because of its lightweight and highly compact design it is one of our favorite choices for the on-the-go printing professional! It features a max color dpi of 9600 x 2400 so it is capable of delivering crisp and colorful photos as well as printing documents up to 8.5″ x 11″. This PIXMA printer makes it simple to print from smartphones and tablets, especially when used with the Canon PRINT app. The Canon PRINT app is designed to make it simple to print photos or documents directly from any mobile device. Cloud printing enables you to print directly from select online Cloud services including but not limited to Facebook, Dropbox, Twitter, Google Drive, and One Drive. The optional battery also allows you to print without plugging in to an outlet. take your portable printer anywhere and print. Many of its users praise it, commending its portability, design, and quality of printing, but do complain that setup (especially pairing to a wireless device) can be a bit tricky, and the instructions are not a great help. Check out this setup video for a walkthrough. Don’t transport your Canon Pixma printer without this ultimate hard case designed for protection against drops, dust, and impacts. It is also a great case for keeping all your printer components intact in one place. Its exterior is made of hard composite blow-mold plastic with internal tri-layer foam cushions. It also has customizable pick & pluck layer for individual compartments. To keep the contents secure, the case also consists of double-latch closures with a slot for padlock. The case’ external dimension is 16.0″ x 13.0″ x 6.0″ while the internal dimension measures 15.5″ x 11.0″ x 4.0″. It can accommodate a mobile printer, chargers and ink. What are customers saying about portable printers? Many portable printer users note that while the mobility of these devices is stellar, you can expect that there will be some minor drawbacks. Some drawbacks include limited paper intake, complicated wireless pairing set up, slower-than-desktop printing, and sometimes the annoying fact that rechargeable batteries are not included with some of the portable printers. Some of the printers, including the Canon IP 2820 portable printer, can have their cartridges refilled with ink without purchasing expensive replacement cartridges. Most of the portable printers come with cartridges included- just make sure that the portable printer you select from Amazon does, in fact, come with cartridges. Also- make sure you also pay attention to warranty information for the printer that you purchased. 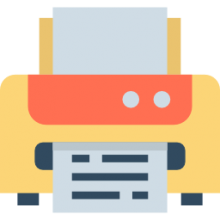 Users were satisfied that the printers they selected had robust warrantees that allowed them to potentially exchange the items in the rare case that they were defective.